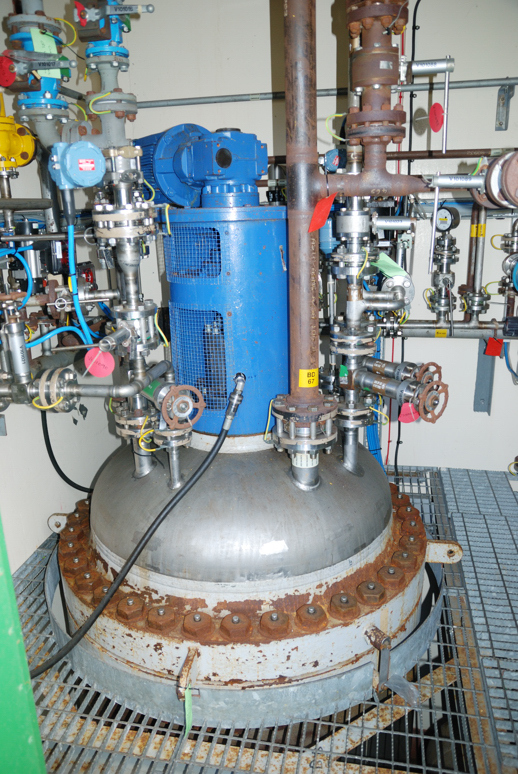 1360 litre working capacity Hastelloy C22 high pressure jacketed Hydrogenation reactor system. 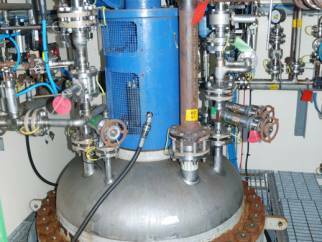 Hastelloy C22 Hydrogenation reactor with carbon steel jacket, internal cooling coil, double turbine agitator 500mm diameter, 178 rpm, EExd 5.5 kw motor 1440 rpm, David Brown Radicon gearbox, WP vessel 65 barFV, jacket 6 barg/FV, internal coil 6 bar.g/FV . Designed for products with 1.8 s.g. Vessel id 1123mm, 1251mm tan to tan. Weight 5045kgs, built by Langfields Ltd 1997. This is still installed with all ancillary pipe work, valves, feed vessel and filter vessels. All in excellent condition with comprehensive documentation available.